Some people move to the country with expectations that don't match reality. Here's what you can do if neighbors don't like your flock. Our area of rural Michigan is storybook country. Corn and oats wave in fields along our road. Cattle low at a nearby centennial farm, while miniature donkeys bray at a farmstead kitty-corner from our home. Two houses to the north, a family raises summer crops while, across the street, a couple keeps a small flock of chickens and ducks. Our next-door neighbors to the south raise autumnal crops and chickens. We all help each other, whether it’s clearing driveway snow, sharing our gardens’ bounty or lending flour and sugar. And then there was our other neighbor. As part of a growing trend across the U.S., urbanites and suburbanites are abandoning the cities for a simpler, rustic experience. Most embrace everything the country offers, including sketchy internet, wilderness flora and agriculture. A small percentage, however, attempts to impose its idealistic impression of country life, with minimum success and maximum aggravation. The Smiths left their metropolis for a pristine stretch of Michigan prairie. A green lawn promptly replaced the prairie, and a tidy house, complete with asphalt driveway, soon stood on the property. In short, they transplanted the suburbs to the country. Unfortunately, wild prairie reasserts itself relentlessly, and the Smiths found themselves continually battling nature to keep their park-like setting. They also didn’t seem to understand that the seven surrounding residences were all hobby or small farms, complete with animals. And, of course, because our farm was the closest, they soon targeted us as the nuisance disturbing their rural ideal. Invite your neighbor over for a cup of coffee (even better: serve baked goods made with your eggs). 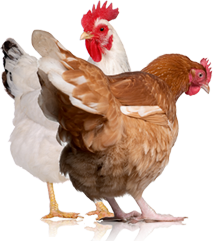 Let her know what got you started in chicken rearing and how it benefits your life. 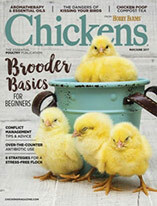 Share amusing anecdotes about your birds. If you allow outsiders by your coops, take your neighbor on a quick tour. Encourage her to ask questions and express her concerns. A little friendly conversation goes a long way toward calming consternation and dispelling ignorance. 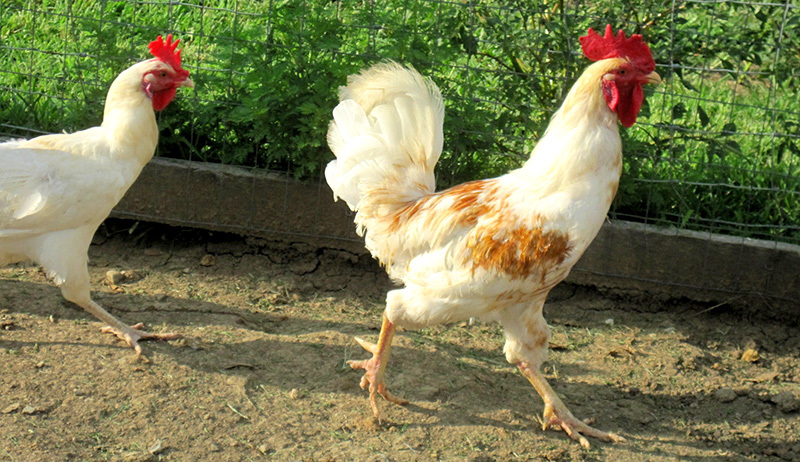 Even if your birds are confined to their coops and runs, with no chance of free ranging, consider installing a fence between your property and that of your neighbor. A sturdy fence will reassure him that your chickens won’t wander over and nest on his favorite lounge chair or dig up the daffodils. Check with your township’s ordinance director regarding guidelines for fence installation. Sometimes nothing will deter your neighbor from coming after you and your flock, literally and figuratively. If you feel that your birds might be in danger, install motion-sensor lighting and alarms around your coops. A wildlife camera can capture any instances of trespass or worse. Be prepared to respond to complaint notifications filed with your township and do so swiftly and politely. 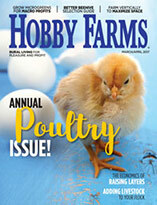 Familiarize yourself with your local poultry-keeping ordinances, and look into your state’s right-to-farm guidelines. Keep a journal and log every incident. Above all, remain patient and remember that you also have good-natured neighbors, not just bad ones. As far as the Smiths go, well, they’re going. Perhaps they concluded that their dream home involves a park, not agricultural acreage. They might have also noticed that they were surrounded by donkeys, goats, chickens and ducks, all of whom make noise … and more. Whatever the ultimate reason for their departure, we wish them well, and we appreciate our truly rural neighbors all the more.